already successful you just want fast track your success. This program is about YOUR mindset and clearing road blocks for people in the service industries to get the results they want quickly & easily. The people I work with are successful smart, knowledgeable and experts in their field. They know their product or service better than anyone but somehow they are not hitting their target in sales. I am not a shooter but the following from “Shootsmart” will explain two problems on the shooting range that constantly face shooters on missing their target, and shooting to the left. Remember that time at the range when you mastered your shot group…only to find your placement was just a tad to the left of your target? Or, maybe you’re a left-handed shooter with shots landing slightly to the right? I have found that even the most advanced shooters face this issue on a regular basis. I would like to discuss the causes of “shooting to the left” to help overcome this pesky problem! The first area to assess is your support hand. The left hand is the support hand for right-handed shooters, and the right hand is the support hand for left-handed shooters. You should always maintain a firm grip with your support hand without adding excessive pressure while firing the pistol. Squeezing your support hand too tight when firing the pistol makes the barrel shift slightly to the left. Hint: If your fingertips on your support hand are turning white then you’re probably squeezing too hard. The second area to assess is your trigger finger placement. Remember to go back to the basics: only use the pad of your finger to press the trigger straight back. If the pad of your finger extends too far over the trigger then your finger acts like a hook causing you to pull the trigger to the right sliding the barrel to the left. When firing the pistol, be sure to always use only the pad of your finger to gently press the trigger. This is a “pesky problem” which is easily overcome once aware of it. 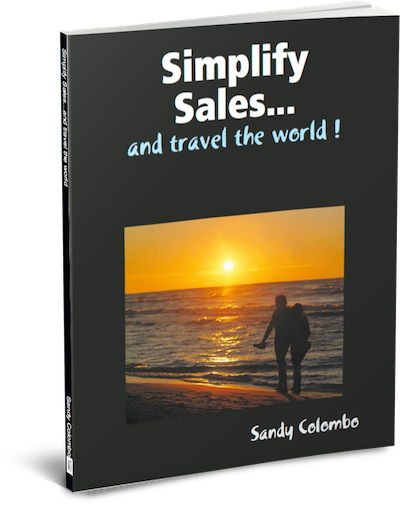 What makes Sandy Colombo stand out and unique in her field? Author of 2 books with number 3 on the way ! All delivered inside our client membership area, that you will have immediate access to once you have purchased the course.